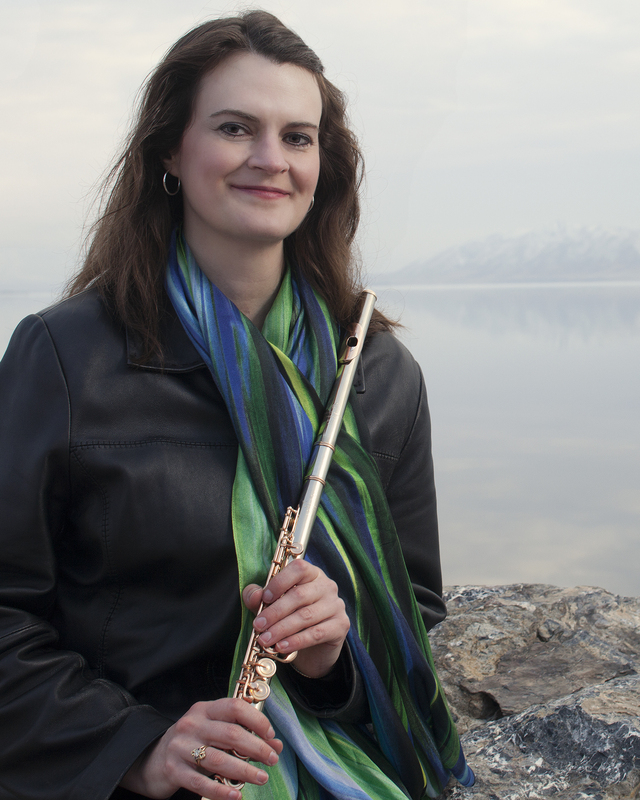 For four days last week, the Waterford School was the host venue for the first ever Salt Lake Flute Forum that brought local students and teachers together, as well as guest artists. It concluded Saturday with a concert by event organizer and Brigham Young University faculty member April Clayton. She was joined by local artists Leslie Harlow, viola, Nicole Brady, harp, and Jed Moss, piano. Clayton put together a wonderful program of 20th century works. She and Brady opened with a captivating account of Vincent Persichetti’s delightful Serenade No. 10. The eight short movements making up the work have a lot of charm and the two players captured the melodicism of the music with their beautifully crafted and lyrical playing. It was an articulate and polished account. Maurice Duruflé’s Prelude, Recitatif and Variations, op. 3, followed to close out the first half. Clayton was joined by Harlow and Moss, and the three gave a sensitive account of the contemplative first two sections, while infusing the livelier variations with keenly defined rhythms and well articulated expressions. After intermission, Clayton, Harlow and Brady returned to play Claude Debussy’s Sonata for Flute, Viola and Harp. One of his last works, the sonata doesn’t have the rich sonorities one associates with Debussy’s music. Towards the end of his life Debussy had moved to a more austere style. In this work, though, there is still a vibrant lyricism that infuses the music. The three captured this intensity of expression wonderfully. Their reading was sensitive and perceptive and exquisitely articulated and executed. Clayton and Moss ended the concert with Swiss composer Frank Martin’s Ballade. They brought out the rugged lyricism and striking contrasts of the piece with their thoughtful and nuanced playing.